My mom never saw a recipe she couldn't try to improve. Which drove me crazy as a kid (oh, so that's what did it! ), since I was the kind of purist who rebelled at any deviation from the rules. What's funny of course is that my own approach to cooking is even more radical than hers, although the results are far more variable. For both of us, the problem is the predictable, the usual, the bland. 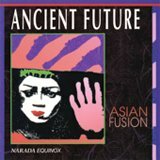 I mention this in reference to the latest Ancient Future release. They too are looking for a way to break out of the mold, which in their case is New Age, and to spice things up. My experiments often involve Asian peppers; they use Asian instruments. The results here are more interesting than the usual New Age, although still rather on the safe side. That's a claim my cooking can't make. 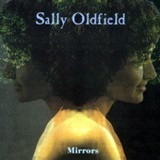 I can still remember the very first time I heard Sally Oldfield. It would have been 1985 or so. I was living in Los Angeles and was taking a drive one weekend up to Santa Barbara. In those pre-CD days, at least for me, I was limited to what I could find on the radio. So I was spinning the dial (not literally; I'm pretty sure I had a Scan button rather than a dial) until I came upon an alternative music station. And out of my radio came the most amazing voice. I don't remember which song it was. Might have been Mandala. Or maybe it was Sun in My Eyes. But whichever song it was, I was transfixed. I found a greatest hits collection a while later, and then Mirrors. And Ms. Oldfield's music has been part of my rotation ever since, first in my CD case and now in my iPod. I'll never understand how such an amazing and original talent can fail to catch on in this country. Then again, there are a lot of things I'll never understand about this country. 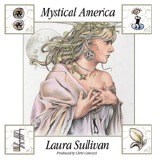 I've always thought of New Age music as light and cheerful, often soothing, soporific even. So what's this doing among the iTMS New Age offerings? Granted, it's a few days before Halloween as I write this, so scary harpsicord music may qualify as light and cheerful for the ghosties and goblins. 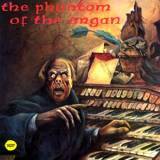 And this album would certainly set the mood for a good fright, if that's what you're into. Better than the sounds of chainsaws or ripping flesh and the sight of entrails, especially for those of us with weak stomachs. Funny how a visit to the Renaissance Faire always leaves me in a New Agey frame of mind for the next few weeks. At least where music is concerned; I'd like to think that other aspects of my personality are unaffected by the experience. Not that they couldn't stand some affecting. But that's a rap for another time. But suffice it to say that my affection for Robin Spielberg's piano pieces may be influenced by external forces: those images of girls in long dresses with not exactly politically correct necklines, jugglers, mock Shakespeare and a bit of good English ale. New Age music just fits with that whole scene, even if a piano would be wholly out of place. And time; there were very few pianos in those days. I'm starting to see a pattern in the selections here. More New Age than I'd have predicted; I got introduced to it just after college and moved on long before it became the choice of elevators everywhere. And more violins; I think of myself as having more of a pop rather than an orchestral sensibility. But maybe that's just self-delusion. Or maybe I'm more interested in writing about music that's a little less mainstream. Whichever the reason, here comes another New Age recording with violins. 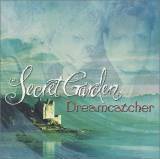 Secret Garden is a keyboardist from Norway and a violinist from Ireland, along with various supporting musicians on the tracks. A strange combination, but one that offers characteristics of two very different musical traditions. How to describe it... Think Enya with fewer vocals, and without every song sounding quite so much the same. It's a pleasant background when you want to relax, while showing greater complexity if you care to give it your attention. Sounds like a pretentious wine, doesn't it? I almost always have a reason for my decisions. Sometimes, though, the reasons aren't entirely... reasonable. Case in point: this collection of New Age instrumentals. I gave it a first listen because of my sexist and soon to be dashed hope for some feminine vocals. And I might have passed it by, as pleasant as it was, if I hadn't noticed the name of the record label. Delvian Records. Means nothing to you, I suppose. But then again, you're not a hopelessly addicted Farscape fan. If you were, you'd know that Delvians are these New Agey religious types, full of righteous beliefs and mystical powers. Oh, and they're blue. Which I guess is easier than being green. So anyway, I took it as a sort of omen and bought the album. See, I told you I had a reason. I discovered Martin Lass on my second trip to Australia. Just before dropping a friend at Sydney Airport for her flight home, we stopped at Darling Harbour in hopes of finding a CD of folk songs for her collection. (I'd found my copy a couple of days earlier.) Mr. Lass was performing in the shopping centre, doing a combination of classical and contemporary pieces on his violin, with keyboard and percussion as accompaniment. I bought a copy of his String Sensations CD on the spot and have it in regular rotation on my iPod. Flash forward ten years. 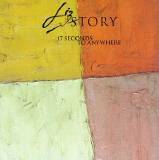 That CD is sadly out of print (although why it can't be revived for the electronic marketplace I have no clue). But I noticed a couple of others in the iTMS. 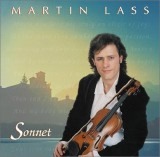 Sonnet is Mr. Lass's own compositions of a mostly New Agey flavor. (Or should that be flavour?) If you like the sound of a skillful and energetic violin and don't cringe at the thought of New Age, give it a listen.